March is Social Work Month, This years theme is, “Elevate Social Work.” In honor of Social Work month and in our attempt to elevate our practice, OncoLink is featuring social workers and their own voices. This entry is from Catherine Credeur, an oncology social worker. Happy Social Work Month! I have been a social worker 26 years and in some form of oncology care for 19 of those years. Many years ago, I was tasked with trying to explain our profession at a second-grade level for my nephew as part of his Community Helpers assignment. Nephew had to ask questions about the education and training requirements, daily duties, and joys and challenges for helping professions. He had also interviewed his mother, a nursing home Director of Nurses who was very engaged in a wound care prevention and healing program. My nephew and I talked about my bachelor’s and master’s degrees, the ongoing continuing education I have, and my volunteerism with the Association of Oncology Social Work(AOSW) as my professional organization. Oncology social work can be emotionally intense work, and I was working in hospice at that time. I had to think for a few minutes before coming up with an example of my patient work that was appropriate for a sensitive seven year old. I talked about a boy, close to my nephew’s age, who was sad that his grandfather was very sick. I explained that I had been able to arrange a fishing trip for the boy and his grandfather that was “So much fun!” for both of them. I explained that after the boy’s grandpa went to heaven, that the boy and I had made a scrapbook with pictures taken during the fishing trip. The boy was the oldest of the grandchildren and he would be the keeper of the Paw Paw stories for his younger cousins. It was a child-appropriate explanation of social work addressing grief at an appropriate developmental level, legacy making, and finding meaning and joy at the end of life. Seeing my professional life from the eyes of a seven year old was both funny and endearing. Yes, oncology social workers help to heal the figurative holes in hearts. We help people who are terrified of the word “cancer” see a future that will include continued work and family life. We normalize a family’s loss and affirm that they as well as the patient are important to us. We celebrate birthdays that might not have been possible when I entered oncology care 19 years ago. We give permission for professionals to mourn. We teach our future social workers and our interdisciplinary colleagues. We research social work interventions so psychosocial care keeps up with the changes in oncology treatments. I have been incredibly blessed in the years since this interview as my career in oncology social work has developed. I’ve seen the example of the founders of AOSW who continue to champion the heart of medicine in the midst of technology. I see the excitement of our students and our new colleagues who keep my perspective and my brain challenged. I have amazing colleagues who see the holes in my heart that have formed in all these years of caring for my patients as people, and their support in self-care. “Original Nephew” is now a grown man, and there is a new generation of “Greats” who are asking many questions about jobs. I am blessed that I can still say I love my profession, and all the hearts we get to hold. 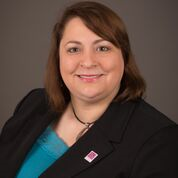 Catherine Credeur, LMSW, OSW-C, FAOSW, is a certified oncology social worker with Simmons Cancer Center/UT Southwestern Medical Center in Dallas. She completed her master’s degree in social work in 1996 and worked in mental health for several years. Catherine began her career in oncology social work in 2000. She has worked in community cancer centers and academic hospitals, hospice and home health, and as a community organizer for the American Cancer Society. Catherine is a Fellow and Past-President for the Association of Oncology Social Work, a national organization committed to the psychosocial care of patients and families. Her interests include MSW student training, maintenance/return to work for patients and caregivers, and the intersection of cancer rehab and psychosocial care in quality of life. Chatherine, thank you for sharing this story, you are a wonderful clinician and a dynamic leader. Thank you for sharing your talents and wisdom.